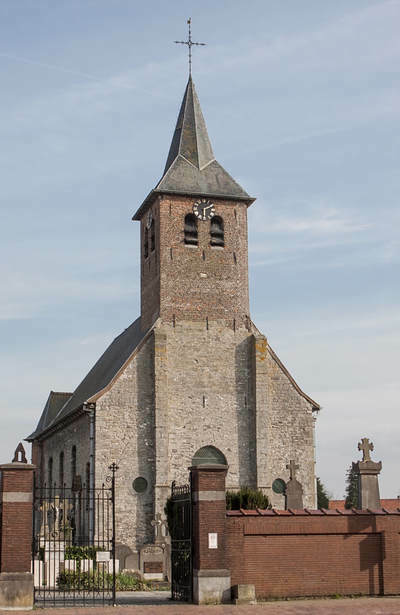 The village of Helkijn (Helchin) is located south of the town of Kortrijk off the N50 which runs between Kortrijk and Pecq. Driving from Kortrijk follow the N50 until you come to the junction with the N512, turn left here and head for Spiere. In the village you come to a T junction, turn left onto Oudenaardseweg and follow this road to Helkijn. In the village you come a junction of 4 roads, turn right into Kerkstraat and the church is at the end of the road. 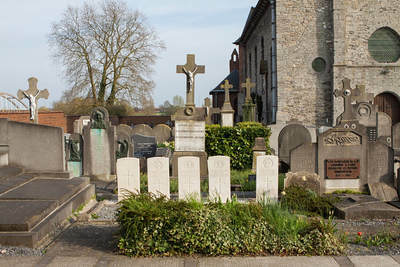 The graves are directly in front of the entrance. Helkijn Chuchyard contains four Commonwealth burials of the First World War, one of which is unidentified. 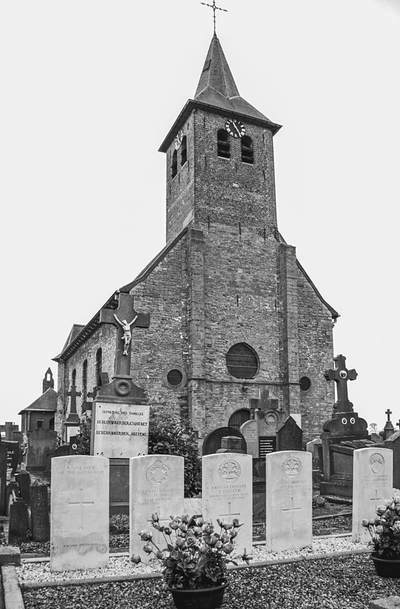 These graves were brought in after the Armistice from a point between Helkijn Church and the sugar factory. The single burial of the Second World War dates from May 1940 and the withdrawal to Dunkirk ahead of the German advance. 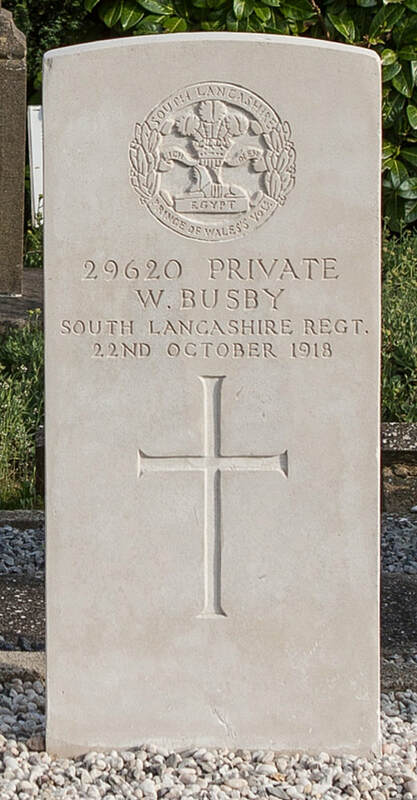 29620 Private Wilfred Busby, 2nd Bn. 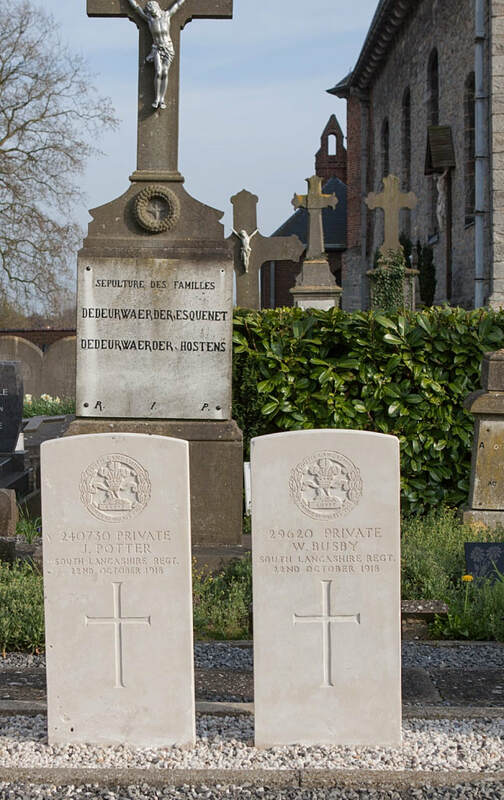 South Lanacashire Regiment, died 22nd October 1918 aged 28. Son of Richard and Jane Busby; husband of Martha Alice Busby, of 55, Hall St., Blackburn. 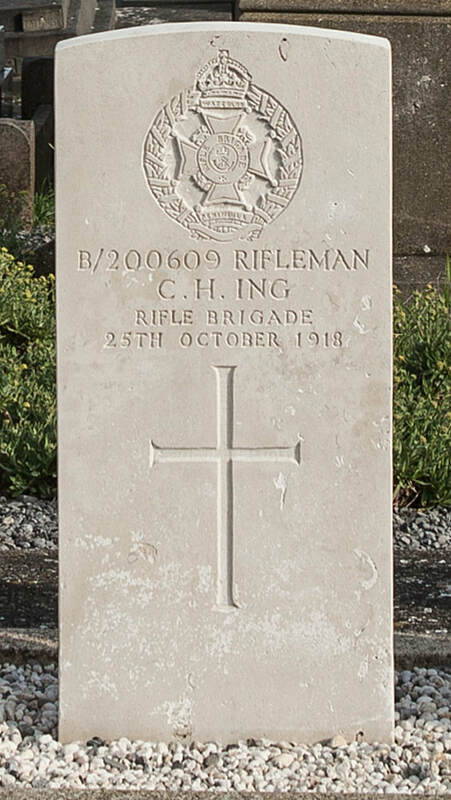 B200609 Rifleman Charles Hubert Ing, Rifle Brigade (posted to 2nd/17th Bn. London Regiment), died 25th October 1918 aged 20. Son of William H. Ing, of 41, Royal Oak Place, Eaton Square, London, and the late Mrs. Ing. 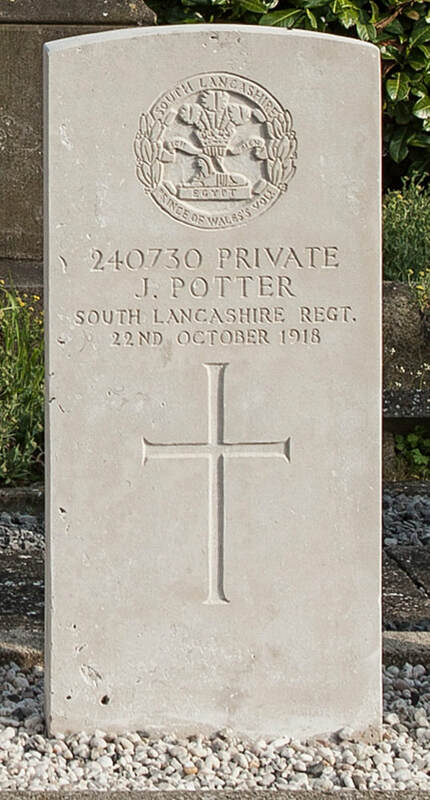 240730 Private James Potter, 2nd Bn. 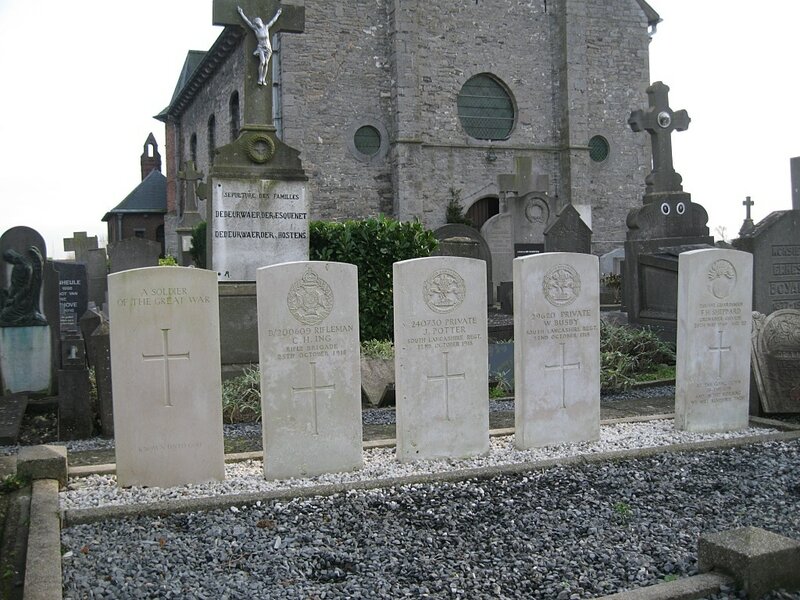 South Lancashire Regiment, died 22nd October 1918 aged 28. 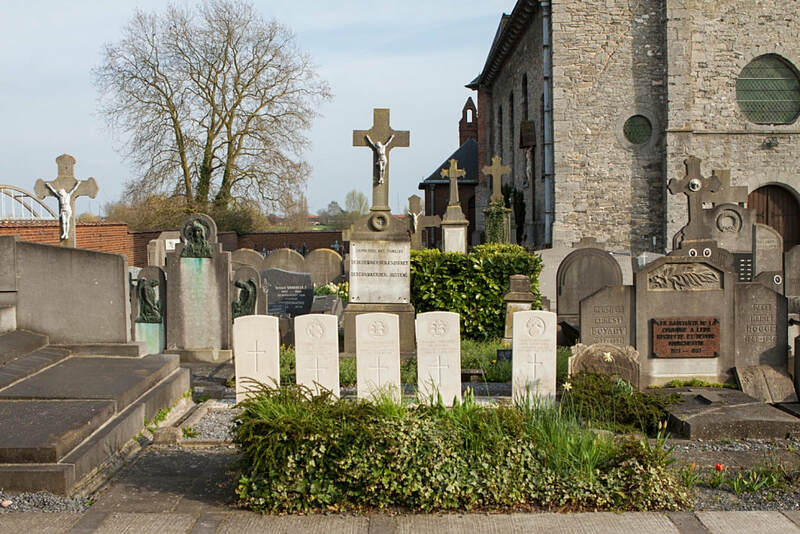 Son of Charles and Eliza Potter, of 29, Cooper St., St. Helens, Lancs. 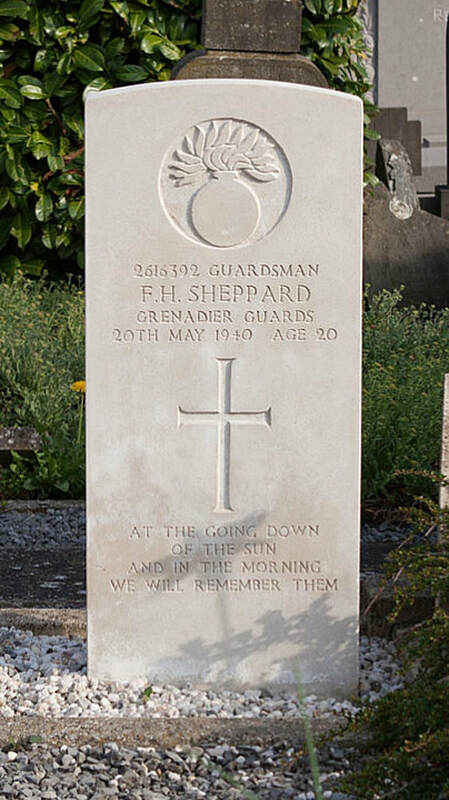 2616392 Guardsman Francis Herbert Sheppard, 2nd Bn. 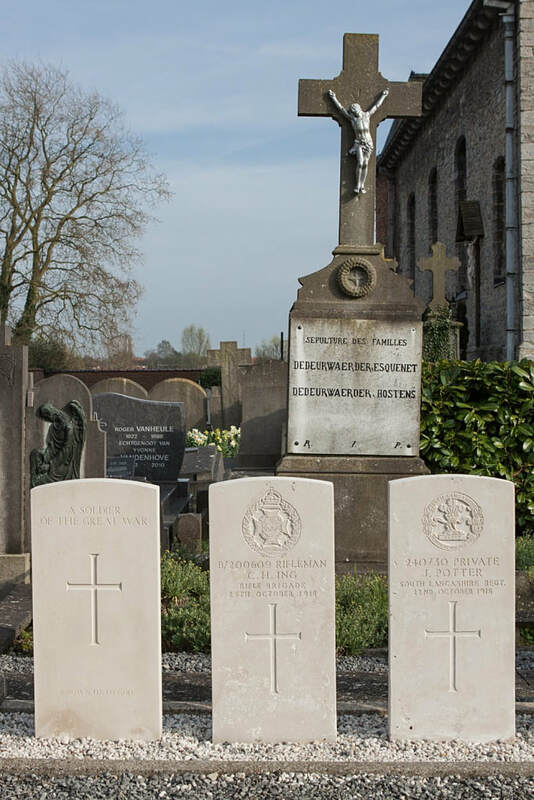 Grenadier Guards, died 20th May 1940 aged 20. 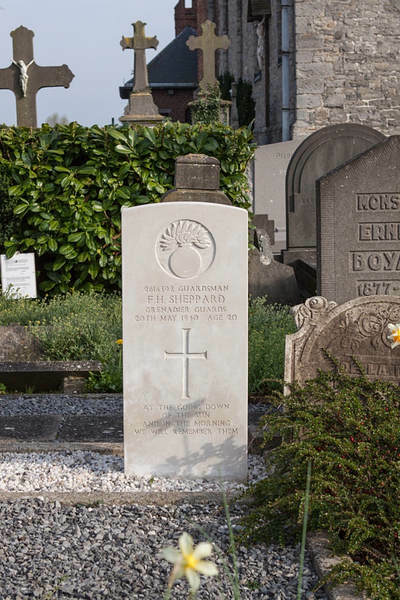 Son of Gilbert and Emily Sheppard, of St. George, Bristol.